Fill out this short form to download the free resource on best practices for syllabus template design and publishing processes that promote usability for students. Continuous improvement meets syllabi. 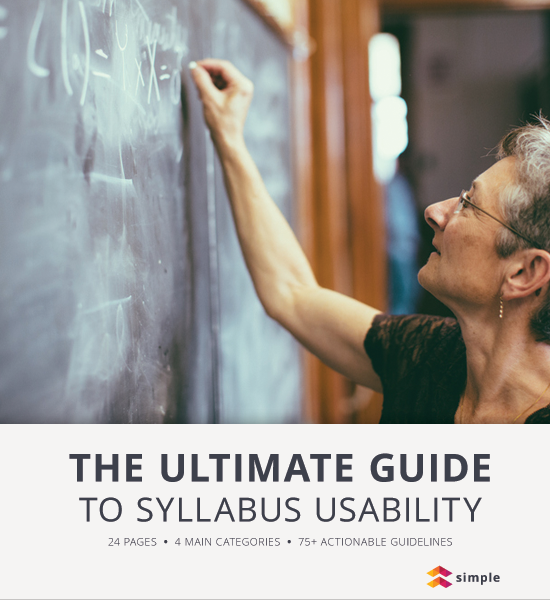 Download this free resource on best practices for syllabus template design and publishing processes that promote usability for students.